Description: 50,000 PPH, 1125 PSI Design, Rentech Boiler, Saturated Steam, New in 2015, D-Type Package Steam Boiler. NEW Unused Equipment. Water Tube Design. 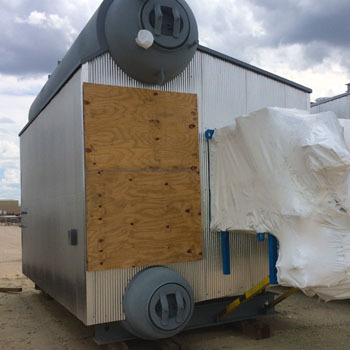 Includes all standard boiler trim, FD Fan, Stack with breaching, Economizer, Gas Train. Natural Gas Fired, Low NOx design. Includes all drawings, manuals, and documentation. Available for immediate shipment.